Update: The slideshow has since been fixed by KSDK, and you’re welcome DL Hughley! Is this DL Hughley? Anyone? Eh, close enough. 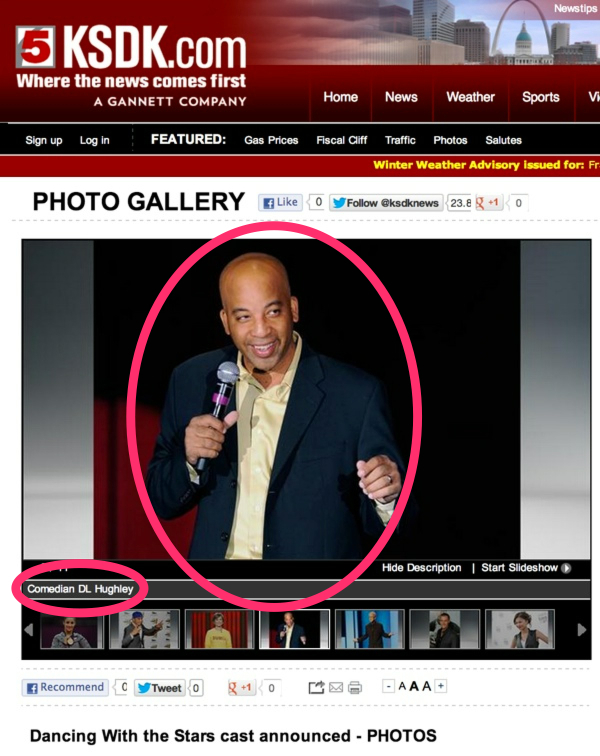 I remembered he was black…and a comedian…how many of them can there be? Good try KSDK, but a whiff for sure. One might ask: “Why the hell is local news channel KSDK making incorrect slide shows concerning the cast of a long-running national reality show that airs on a different local affiliate?” …and that would be a good question! Someone should definitely ask that.